In our assessments and related activities we attempt to encourage schools and teachers to provide learners with the opportunities to explore topics, participate in activities and be exposed to discussions and debates that develop the kinds of skills and attitudes we believe every modern member of our society needs to have mastered. Our complex world and our own very complex society demands citizens who are not only courageous but able to determine what we need and how to bring that better world into being. The IEB makes every effort to ensure that our assessments are globally competitive and that our learners have access to assessments that compete at the highest level. We believe that given the opportunity, our learners from our region are capable of achieving along with the top global achievers; this is the driver for the IEB Advanced programmes and our participation in international benchmark tests. It is this belief in the quality of our learners and our nation that inspires the IEB to try and influence the educational experience beyond assessment. It is with this backdrop that the IEB presents this statement of what it stands for as an educational institution. 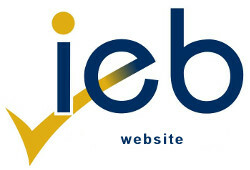 The IEB's mission is to make a significant, on-going contribution to human resource development through the design, delivery and promotion of a wide range of high quality, affordable assessment products and services to all sectors. The work of the IEB is underpinned by a commitment to the following values: integrity, respect, commitment and service, professionalism, communication, quality and teamwork. This document is available in English, Afrikaans, IsiXhosa, Sepedi, Sesotho, Setswana, SiSwati, and IsiZulu.